He was instrumental in the launch of ministry to Adventist chaplains. Charles D. Martin, a Seventh-day Adventist pastor who was instrumental in starting Adventist Chaplaincy Ministries at the world church headquarters in 1985, passed away on Jan. 7 in California, United States. He was 94 years old. Martin served in the Youth Department of the General Conference, and was the director of the National Service Organization from 1980-86. 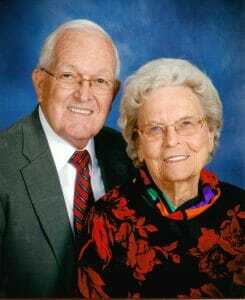 His first wife, Pearl Martin, preceded him in death in 2009. Martin was born in Anaheim, California, United States, and attended Adventist schools in the area until he graduated from La Sierra University with a degree in Theology in 1945. He pastored in the Southeastern California Conference until 1950, when he became conference youth director. In 1957 he, his wife Pearl, and two children went to Singapore where he served as youth director of what was then the Far Eastern Division. In the 2010 interview, he said those years were “a time of travel, ministry, and learning of other cultures.” Their third child, Cindy (Hanson), was born in Singapore. Their service in the Far East continued until 1966, with a one-year furlough in 1963, when he received a Master of Arts degree from Andrews University. 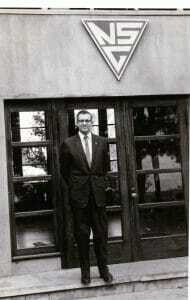 In 1966 he became an associate youth director of the General Conference. “My previous work with the NSO at the conference level built the experience that I would need in my new position as a General Conference associate youth director,” he said in the 2010 interview. At the General Conference Session in New Orleans, Louisiana, United States, in 1985, Martin was appointed the first director of the General Conference Service—a Department after 1995—of Adventist Chaplaincy Ministries. According to Deena Bartel-Wagner, under Martin’s leadership, annual professional growth conferences were established, specifically designed to meet the needs of Adventist chaplains. She wrote that those years were also a time of educating others about chaplaincy ministry. Martin agreed. “The annual conferences were a special time to renew our friendships and commitment to our ministry,” he said in 2010. Both Charles and Pearl retired in 1987. Three years later they went to Korea to operate the Adventist Servicemen’s Center in Seoul, returning to the United States in 1991. They moved to Florida in 1999. Pearl passed in 2009, after sharing, according to Martin, “62 years of marriage, ministry, and the joys of raising two daughters and a son.” In January 2010, Charles married Eleene, who preceded him in death in 2015. Funeral services will be held at the Redlands Seventh-day Adventist Church on Sunday, Jan. 14 at 11 a.m.
Deena Bartel-Wagner contributed to this report.